Complete Home/Office Installation for less than $40! The XM Sportscaster features a 2-Line Backlight Display and 30 Favorite Channels with sports presets. 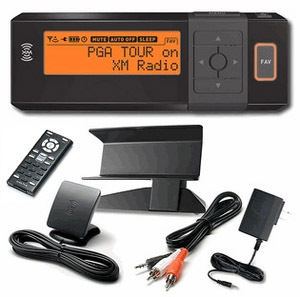 The XM Sportscaster includes everything you need for home or office installation. Included home kit connects directly to an existing stereo sound system.